Poet and Kent State University professor Maj Ragain died April 19, 2018 at the age of 77. Ragain organized what may be the nation's longest running montly open-mic poetry series, and the annual Jawbone Poetry Festival. One of the most beloved members of the Northeast Ohio poetry community has died. Kent State University poetry professor Maj Ragain died last week at the age of 77. WKSU's Jeff St.Clair on poet Maj Ragain. Ragain often wrote of growing up in rural Illinois and his arrival in Kent in as a student in 1969, shortly before the May 4th shootings. He began teaching at Kent in 1981, and for the past 30 years organized the Jawbone Poetry Festival on May 4th weekend. Ragain inspired generations of students during his tenure, and authored five full-length poetry collections and seven chapbooks. 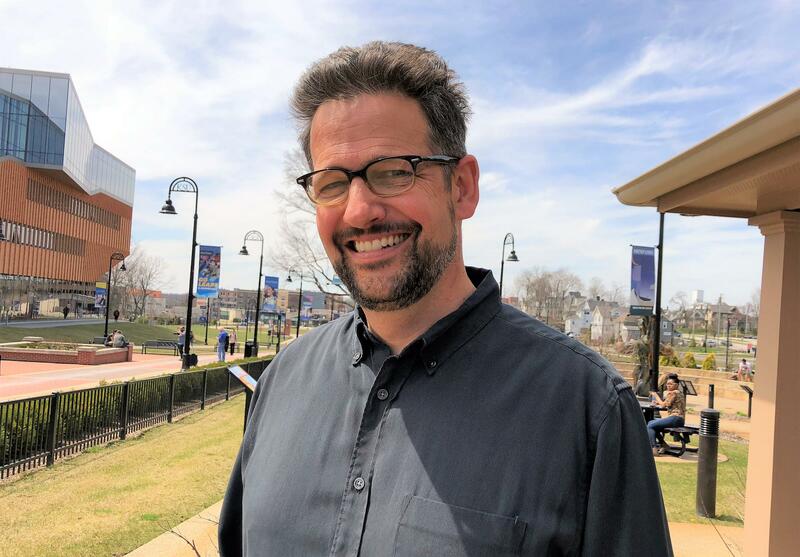 David Hassler is director of the Wick Poetry Center at Kent State University. He credits Ragain for inspiring Northeast Ohio's strong community of writers. Hassler says Northeast Ohio has a large community of writers, and Ragain was a major voice among them. Maj Ragain will be remembered at this year’s Jawbone festival in Kent, and at a memorial service the first weekend in June. Kent State University’s economic impact on northeast Ohio is nearly $3.4 billion a year. An independent study with those numbers was released Monday by university president Beverly Warren. Kent State University’s Board of Trustees today approved a 10-year, $1 billion campus transformation plan, the first since 1996. The first phase of the plan includes construction of a new College of Business Administration building as part of a new grand entrance to campus.